Have you ever felt stuck in your music practice? You know the feeling, the one where you believe that the music will never get any better. You don’t know what to practice; you don’t even want to practice any more. Or maybe you just need a new approach, something to put the spark back in your practice and playing. You would like someone to show you how to do better practice in less time, so that you can get on with the rest of your busy life and not feel guilty about it. The Kaleidoscope Practice system is designed to help you solve those practice dilemmas. This revolutionary way to look at music practice frees you from rote learning and mindless repetition. It uses five focus areas to direct your practice to learning the music, not just the notes. Yes, music practice can be musical! And because Kaleidoscope Practice is directed to helping you actually finish your pieces, you will learn more music in less time and with less struggle. I developed this system through my own struggles (and believe me, I've had some!) and I have proven its effectiveness over years of teaching and performing. In two decades of teaching music theory and ear training at the prestigious Curtis Institute of Music, I worked with the classical music world’s rising superstars. But in my private studio teaching, I've often seen students whose lack of progress and frustration could be directly attributed to poor practice techniques. Students were relying on the repetitive learning habits that they were taught as children. By coaching these students on exactly what to do in their practice sessions and how to focus beyond the notes, we were able to break them free from their rote learning and practice their way to confident and musical performances. 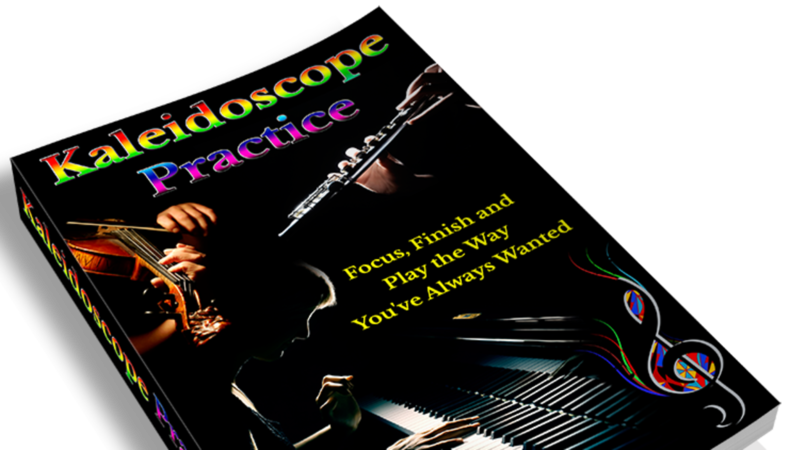 Kaleidoscope Practice: Focus, Finish and Play the Way You’ve Always Wanted is a quick read so you can implement the techniques and practice plans immediately. Included are over 50 practice techniques designed to make your practice more effective, focused and enjoyable. No matter what instrument you play, the three practice plans will help you use those techniques to learn music faster, play it more musically and perform more confidently. The book is in a convenient PDF format so you can read it on any computer or mobile device, or print it out to read whenever and wherever you want. If you have ever felt stuck, confused, frustrated or alone, practicing harder and not getting the results you want, this book will give you a new perspective that might just change everything for you. Here's to your harp happiness! Get the download-and-print version of the book now! Want to know how to maximize Kaleidoscope Practice? 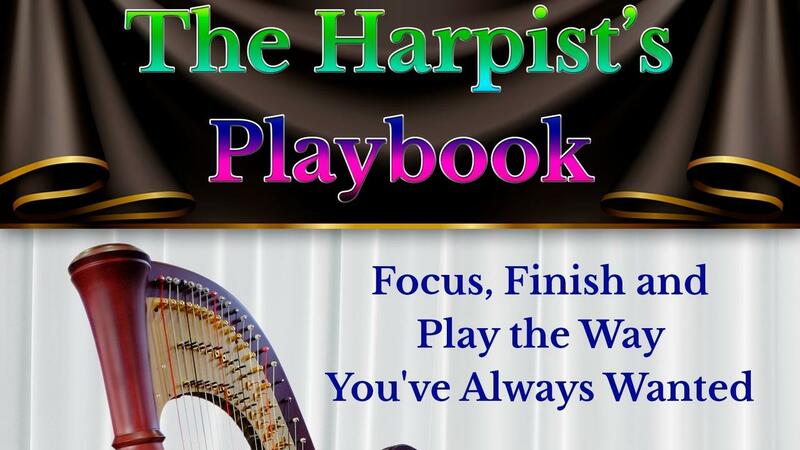 Don't JUST get the ebook - Get The Harpist's Playbook too! This spiral-bound print book is the perfect follow-up to the Kaleidoscope Pracitce ebook. 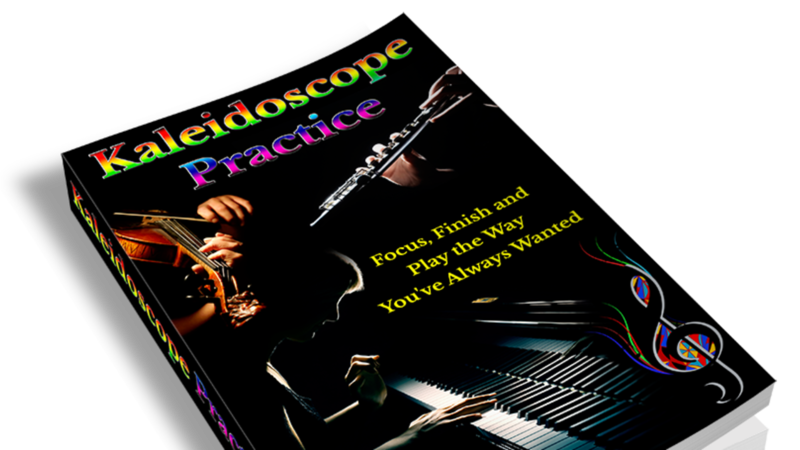 Designed specifically for harpists, it reviews the Kaleidoscope Practice system and gives you a practical action plan to use the system in your practice every day. In fact, there are three practice plans, one for each of the three learning stages and over 60 harp-specific practice techniques, so you are never at a loss for how to solve a sticky spot or make progress.. Included are practice journal pages to help you set and achieve your goals, extra suggestions for practicing trouble spots and helpful practice tips. The Playbook itself usually sells for $24.99 plus shipping. But if you order on this page now, we will give you both the ebook and, the Playbook at a special bundle price, PLUS FREE shipping - just because you deserve more harp happiness!